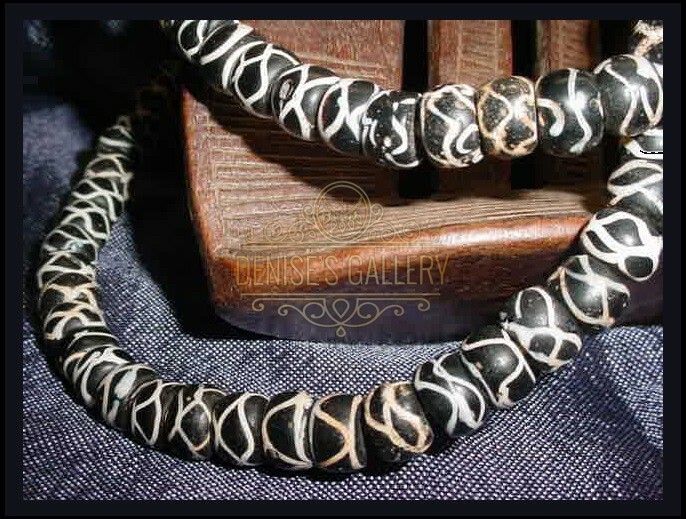 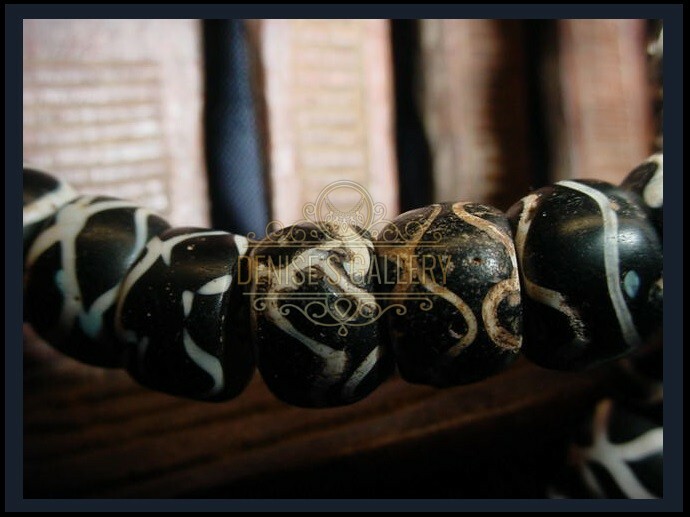 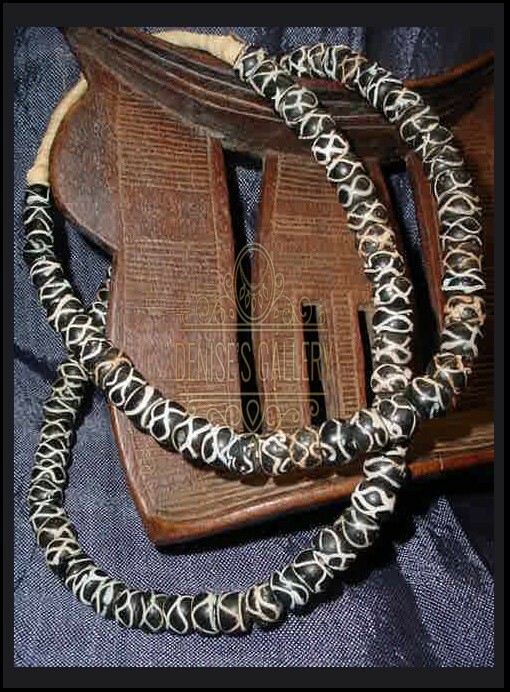 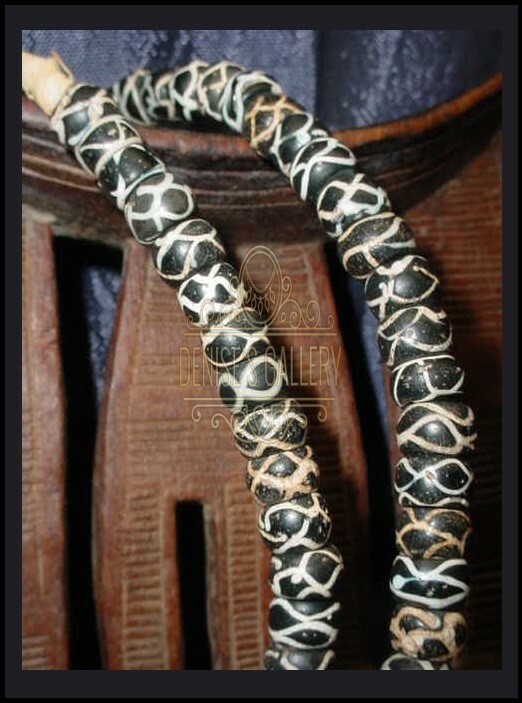 BEAUTIFUL, ANTIQUE ~Black & White~ ‘Rattlesnake’ VENETIAN GLASS TRADE BEAD STRAND. 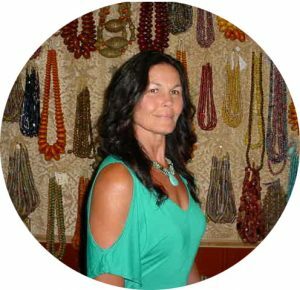 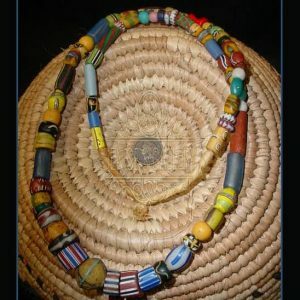 These Genuine, Highly Collectible Trade Beads were Handmade in Venice, Italy & traded in Africa. 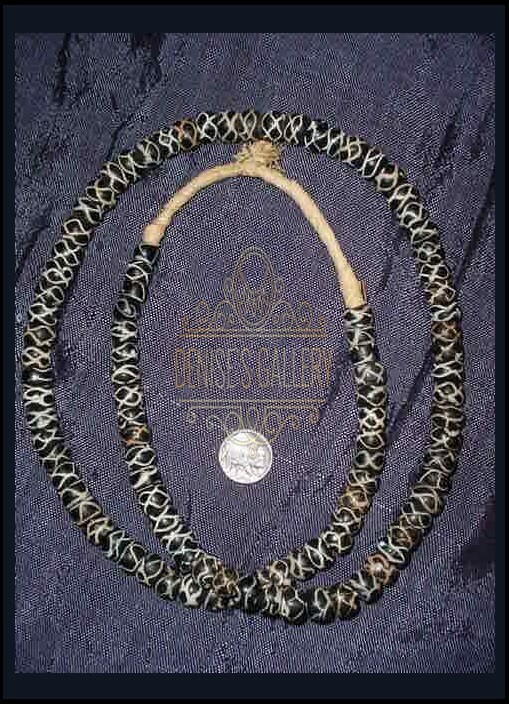 The approximate age of these Trade Beads is late 19th – mid 20th century. 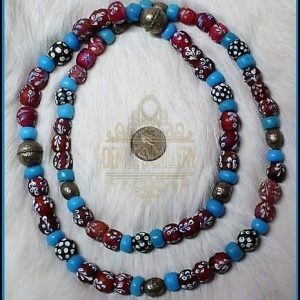 The Looped Strand measures approximately 36 inches long, containing Very-Nice, Original, Antique Venetian Glass Trade Beads, measuring approximately 1/4 – 1/2 inch in diameter. 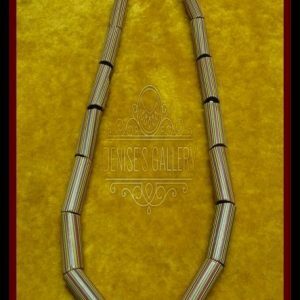 Hole size is approximately 3 mm (picture is actual strand you will receive).